High quality durable laminate finish with 3 mm PVC edge banding. Two-shelf upper end cap bookcase adds another component to your modular office system. 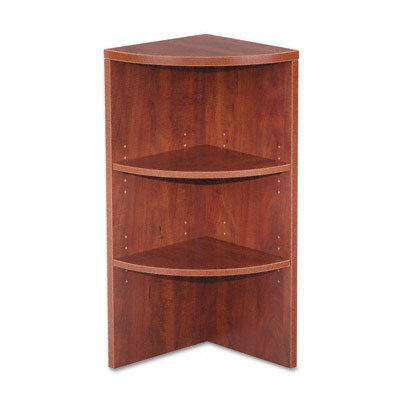 This quarter round bookcase has a high quality durable laminate finish with 3 mm PVC edge banding. Shelf Capacity (Weight) 100 lbs.